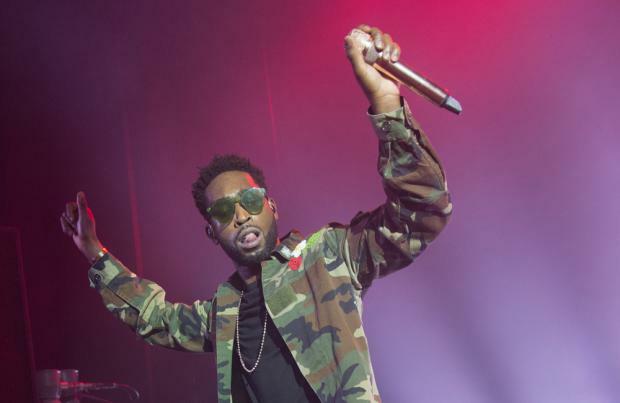 Tinie Tempah has been added to the line-up for this year's South West Four festival. The 28-year-old rap star is included alongside a host of other big-name acts who have been confirmed for the festival in London, with star attractions including Sigma and MistaJam. The festival is being staged on August 26th and 27th on Clapham Common, where Tinie will deliver an exclusive summer performance in the capital. Organisers of the festival said: "Come August Bank Holiday Saturday, Tinie will step on stage and showcase tracks from his brand new album 'Youth', which is tipped by many to be one of the albums of the year, as well as all the hits with which he has made his name. "Hailing from South London, it's only fitting for this sensation to return to his roots and take centre stage and put on a performance that will rank as one of the highlights of his hugely successful career!" Tinie's new album is set to be released later this week and the rap star previously revealed he is always looking for inspiration for his music. He shared: "Even when I go to bed, I'm still thinking about this. I watch every single type of musician, everything about them: what they wear, how they talk, what their videos like, what jokes they make. I watch and absorb everything." Tinie also insisted he is trying to create his own path in the music industry, rather than follow in the footsteps of rappers in America. He said: "I'm not trying to be like an American rapper, I'm doing it my own way."